One of the greatest challenges of furnishing a group home or dormitory is offering enough personal storage space. Your residents will have a better transition to group living if they feel that their personal belongings are secure and that they have their own space that does not have to be shared with other residents. When space is at a premium,storage bedsare practical solutions that offer space-saving designs. A captain’s bed is a bed designed with high end panels that allow for the mattress to be positioned higher from the floor then traditional bed styles. The additional clearance created by the higher mattress placement allows for ample underbed storage. 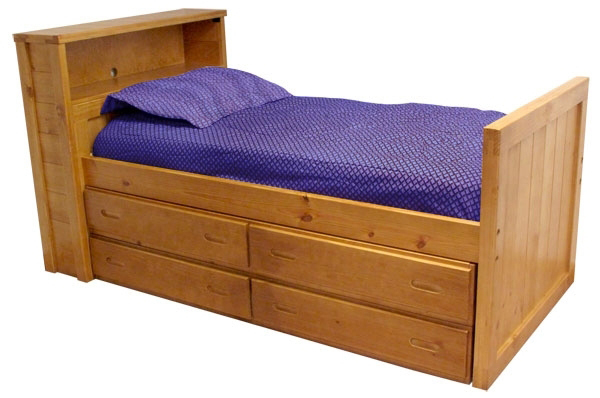 The underbed space can be configured with stacked drawers, storage trays or trundles. Or, the underbed storage space can be left open and standard plastic tubs can be slid under and neatly stored out of sight. 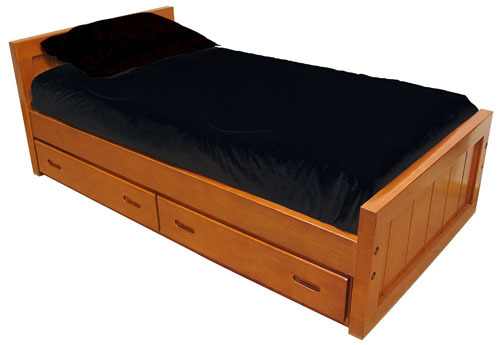 Mate’s beds are lower profile beds with the mattress positioned at a more traditional height. The clearance space is less than that of a captain’s bed but still easily accommodates a trundle or a single height drawer unit. Another version of a captain’s bed is a bookcase bed or a bookcase storage bed. This configuration has the same feature of a generous underbed clearance with the added space of a bookshelf at the head of the bed. The bookcase headboard gives residents some additional space for personal items they might like to keep close at hand like a phone, writing journal, reading materials, radio, etc. 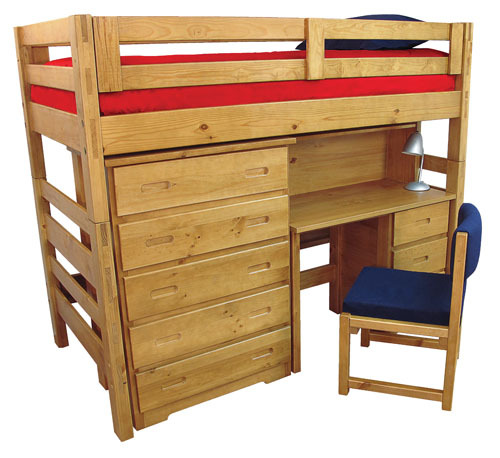 Loft beds are perhaps the most flexible use of sleeping space. Beds can be configured to have the mattress at a top bunk bed height but the space underneath is left wide open. The resident will be required to use a ladder to get into the bed. The space under the mattress and loft ends can be outfitted with work and storage space. Free standing or attached desks can be added to allow each resident ample work space. Traditional dressers and even small-scale seating can be used to make the loft area an economical use of space that can accommodate work, storage and free time. When it comes to group living, making best use of space is critical for the success of programs and the comfort of residents. Sleeping areas are typically spaces shared by residents. The task of making them seem private and secure can be challenging but by using options like storage beds you can provide a sense of independence by giving each individual a space that is exclusively theirs. It is always important when planning a furniture project to use an experiencedcontract supplier who has experience furnishing group living environments.